The excitement of our best selling GeoMetrix™ pop up display now available in the perfect tabletop size. A big impact that's small enough to travel anywhere. 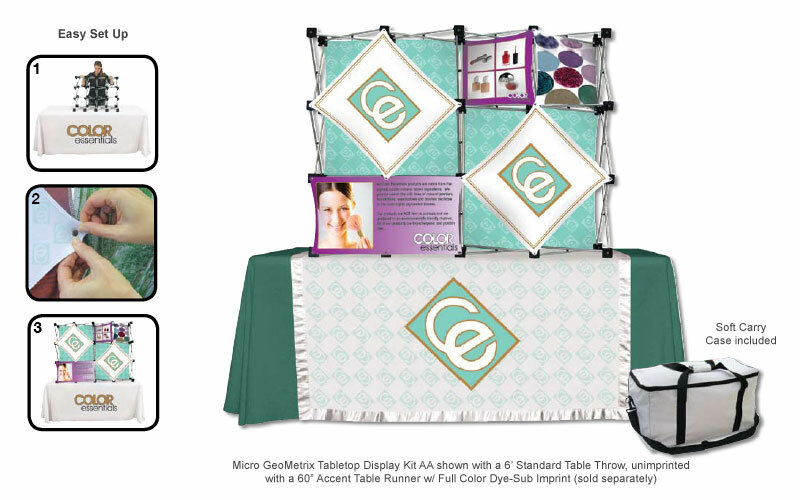 The Micro GeoMetrix™ Kit FF tabletop display weighs 7lbs and is 31.37″ wide × 9.62″ deep × 46.75″ high. 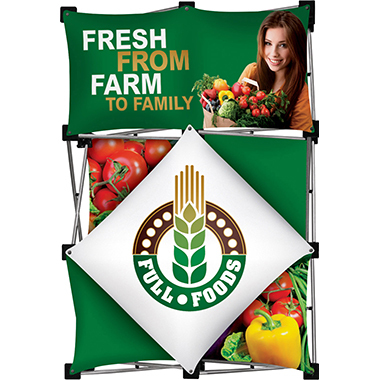 Interchangeable, dye-sublimated fabric banners create an unlimited number of looks with one tabletop display. Dye-sublimated, Double Knit Polyester banners. 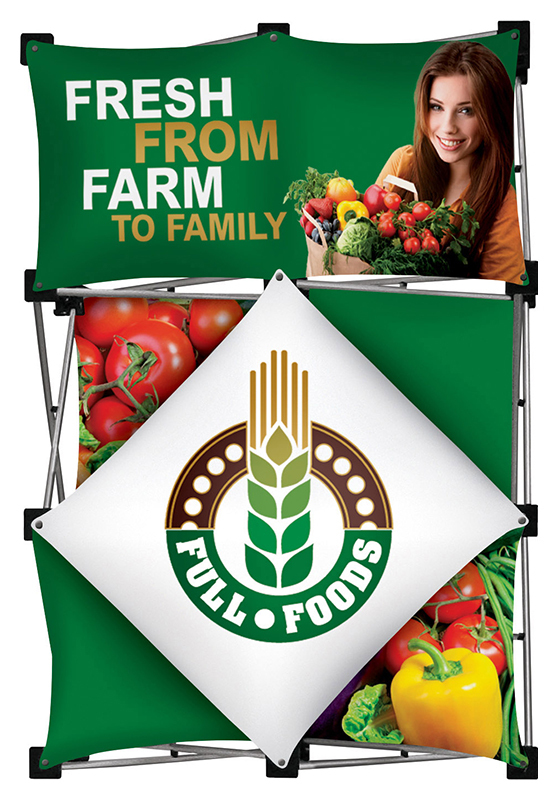 Banners are also available separately for unlimited display possibilities and future graphic replacements. 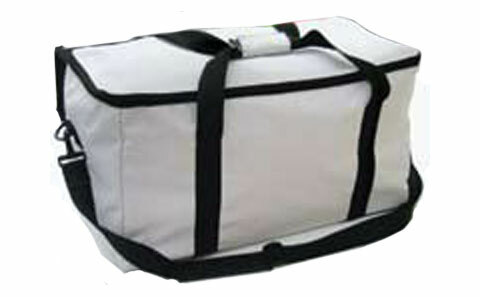 The flat shipping rate for this package is $36 USD for standard delivery within the continental United States. Alternative shipping methods and International shipments are available. Deliveries to Canada are subject to applicable taxes and duties. Volume pricing available on orders of 12 or more. *Color of carry case may vary.